To mark National Consumer Week, here are five laws the canny shopper should be using in their battle to get stuff that actually works. There is a war being fought between customers and many of the firms they have to deal with. It is an asymmetric conflict - the little man versus the faceless, bad customer service monoliths. On the little man's side there are only newspaper consumer pages and a rather handy selection of laws. The Headline: You might not need that five-year extended warranty after all. The Scenario: Your iconic white MP3 player, the totemic centre of your life, breaks down precisely 366 days after you bought it. The large electronics firm that sold you the MP3 player says that because the one-year guarantee had elapsed, there's nothing they can do to help you. You'll just have to buy another one. Tears drip disconsolately on to its lifeless grey screen as you ponder what to do. The Truth: The Sale of Goods Act says that your MP3 player must be fit for purpose. "It must be as described. It must be of satisfactory quality, sufficiently durable, free from any defects," says Dr Christian Twigg-Flesner, a consumer law expert at the University of Hull. If you've ignored the manufacturer's warnings and have been leaving the player out in direct sunshine and wearing it in the bath, then you probably haven't got much of a case. But if the player has been lovingly treated and has still conked out that suggests something may have been wrong with it at the very beginning. It works like this. For the first four-five weeks you have a "right of rejection" - if the item you've bought breaks down, you can demand a refund. For the next six months, you are entitled to replacement or repair of the goods. It is up to the retailer to prove there was nothing wrong with it if they wish to get out of having to do the work. And then after six months, there is still a duty to replace or repair faulty goods, but the onus is on you, the consumer, to prove that there was something wrong. And the key time span is six years. That's how long goods may be covered by the Sale of Goods Act. It all depends on what "sufficiently durable" means. If a light bulb goes after 13 months, the consumer is not going to be overly gutted. If their washing machine goes after the same time span they are going to be livid. The government's guidelines say: "Goods are of satisfactory quality if they reach the standard that a reasonable person would regard as satisfactory, taking into account the price and any description." And be aware that if you go to the washing machine repairer, spend money attempting to diagnose an inherent fault, and find out you have been using it the wrong way, then you are going to be out of pocket. A key fact is that your relationship in the Sale of Goods Act is with the retailer, not the manufacturer. "The retailer likes shepherding you off to the manufacturer," says Dr Twigg-Flesner. And there are still reasons why you might want an extended warranty - they often include loan machines and ongoing technical support that you would otherwise miss out on. But they are not always good value, says Dr Twigg-Flesner. Where it applies: The law applies across the UK, but has numerous small differences as applied in Scotland. The Headline: Your credit card provider is often liable. The Scenario: You've picked your dream sofa. It's an astoundingly cheap £500, you paid by credit card, and you're very excited. The day of delivery arrives but no sofa materialises. 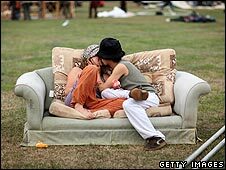 You switch on the news and see Astonishinglycheapsofas'r'us has gone bust. It turns out £500 was too cheap for a quality sofa. They've been losing money hand over fist. You ring the company and an exasperated worker is rather unhelpful. They tell you're not going to get your sofa or your money back. It's all gone to the liquidators to pay the many creditors. You quietly burst into tears. No sofa and your £500 is gone. The Truth: The good news is it has not. This is a great case for a refund from your credit card provider under section 75 of the Consumer Credit Act. Section 75 only works for credit cards. And it only works when you're paying for things that cost between £100 and £30,000. "The bank is... liable" says Espe Fuentes, a lawyer at Which?. "It's as if they have sold you the sofa." The most obvious claim you have, and one that crops up when furniture firms go bust, is for non-delivery of goods. But if you buy an item and after 13 months it is broken, and the shop that sold you it has gone bust, you can pursue the credit card provider. The Killer Fact: Even if you only paid for a small part of the price of the goods with your credit card, the provider is still liable. But bear in mind that the act only applies to single items worth more than £100, not five items of £20. The Headline: Services are like goods. This car is broken. But whose fault is it? "[The act] does the same for services as the Sale of Goods Act does," says Ms Fuentes. "The service provided has got to be provided with reasonable skill and care. The goods bit means the widget has got to be of satisfactory quality." In essence, you have rights to put the bad service right. Either the offending persons must do it, or they must pay for someone else to do it. Where it applies: England, Wales and Northern Ireland are all covered, but common law in Scotland gives similar rights to the consumer. The Headline: Airlines cannot mess you around with impunity. The Scenario: A budget airline, Acme Airlines we'll call them, cancels your flight to a historic eastern European capital. Oh, and it's not going to compensate you either. The Truth: The EU has brought in some regulations that have caused wailing and gnashing of teeth in some sectors of the airline industry. If you are denied entry to a flight where you met all the boarding criteria - prompt check-in, valid ticket and in a fit state to board - or the flight is cancelled, you now have rights. Firstly, you get "reimbursement of the cost of the ticket within seven days or a return flight to the first point of departure or re-routing to their final destination". You are also entitled to "care". The EU's summary mentions "refreshments, meals, hotel accommodation, transport between the airport and place of accommodation, two free telephone calls, telex or fax messages, or e-mails". And you're in line for compensation of 250 euros for all flights of 1,500km. You get 400 euros for all flights within the EU of more than 1,500km, and the same for all other flights between 1,500 and 3,500km. All other flights get you 600 euros. Compensation only applies to cancellation, not delay. The airline can avoid compensation if passengers are notified at least two weeks before departure. And if they are notified less than two weeks before, and are re-routed with only minor delays, they will also not be compensated. There are rights for people who are delayed. Different levels of delay entitle customers to different levels of care, while any delay of more than five hours allows a refund to be obtained, although obviously, you will not be any closer to your destination. But the legislation contains a glorious get-out for airlines. In "extraordinary circumstances", they do not have to compensate passengers. There is a great temptation for airlines to say that staffing shortages or technical faults are "extraordinary circumstances". But this get-out may not continue much longer. "The European Court of Justice has cracked down," says Dr Twigg-Flesner. "Technical problems are not extraordinary circumstances." Where it applies: The regulations are European law, so apply across the whole of the EU. You buy an iconic white MP3 player from an online retailer as a birthday treat for yourself and, stone the crows, your aunt has only gone and bought you an iconic white MP3 player herself. Yours is unopened so you try and return it, but the online retailer refuses to give you a refund. The Truth: The Distance Selling Regulations allow customers a cooling-off period of seven working days. For goods, this counts from the day after the goods are delivered. For services, it's seven working days from the contract being agreed. This applies to all transactions carried out over a distance, not just to online transactions. In a nutshell, you can get your refund. But there are some things you should be aware of, says Ms Fuentes. "You do have to bear in mind who pays the postage." And, she says, there are a range of things that are excluded: newspapers, magazines, personalised goods, flowers, food, software where the seal is broken, clothes that have been worn other than just to try them on, hotel bookings, and transport tickets. Where it applies: The law applies across the UK, but has some differences as applied in Scotland and Northern Ireland. Obviously, the preferred course of action for most people is that the errant firm admits its mistake and settles your claim after the first letter. For some people, writing to a newspaper consumer page offers an avenue to encourage haste on the company's part. But the ultimate recourse for most people - when the company is not budging an inch - is the small claims court, which costs a small fee to use, but can be used without the need for a solicitor. I work for the County Court and often see articles like this implying that Small Claims Court is an easy solution when, in fact, it isn't always the best route. The fee for initiating a claim will be somewhere between £25-£1530 depending on the amount you are claiming, then there are further charges if the case actually goes to hearing. It's not enough to just be aggrieved and believe you are entitled to compensation, you must have documentary evidence to support your case to be in with a good chance of winning, especially when claiming from one of the larger companies. I would strongly urge anyone who is considering issuing a claim in Court to also consider the option of Mediation. It can often be more effective to negotiate for a reasonable sum of money. The Court has a Small Claims Mediation Service which can be used by the majority of litigants and has an excellent success rate. I purchased a car from a BMW dealer in the midlands (over 100 miles from my home). When the car was delivered I was told that I couldn't test drive it until it was paid for. A couple of days later I changed my mind and asked the dealer to take the car back, they tried to sting me for £3000. I argued that the sale was covered under the Distant Selling Regulations but they refused to accept this. They stated that the sale was not a distant sale because the delivery driver has concluded the business at my home. The local Trading Standards office agreed with me, but the dealer wouldn't budge. Eventually they did take the car back minus a £1500 credit note that I couldn't use. Trading Standards should prosecute these large retailers who bully consumers. 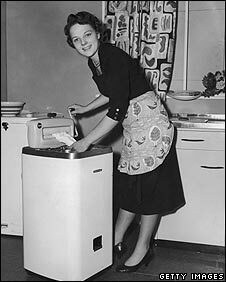 I purchased a top of the range washing machine which broke down three times. the first two times were in the first year but the third was in the 13th month. The retailer said I was not covered by any warranty and would have to pay for repairs. However I stated that as this was a top of the line washing machine it should reasonably last more than 13 months and quoted the sale of good act. To my dismay the retailer fobbed me off and stuck to their guns. I rang the manufacturer directly and stated that even though responsibility was with the retailer they were the ones who actually manufactured the product and stated they refund me my money or i would pop down to their head office in a van and leave the washing machine outside. Money back no problems! Moral: quoting the sale of goods act will often mean nothing, stating you will turn up at HQ and give them bad publicity seems to be more effective. Some retailers know the law and apply it without question. I had an LCD monitor/TV which developed a fault just as it was three years old. I emailed the firm, quoting the six years fit for purposes etc etc... replacement monitor/TV delivered 24hrs later. I did buy it direct from the firm so they were the retailer and manufacturer in my case. I have just had a major argument between a manufacturer and a retailer over a vacuum cleaner which didn't work. Each tried to palm me off on the other. The "customer services" of the retailer just told me lies. However a letter direct to the retailers chief executive sorted the issue in two days and got a gift voucher to say sorry. Whenever I have had issues with a firm, I have found a letter sent to the named chief executive and marked private has results much quicker than talking to the half wit in customer services. We spent around £1000 buying a TV, TV table and DVD/video player. The TV went wrong twice before the first year was up. They said it would be days before they would be able to collect it for repair and they did not have a loaner until it came back. 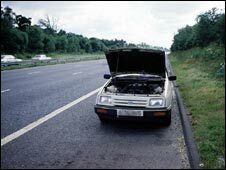 They also said it was our problem when it broke down again just after the year was up for not taking out the extended warranty. We are OAPs and the money we were already spending with them was enough at the time. We had it done privately. Finally it went wrong again and we were told it was no longer repairable. It was around two years old. We took the firm to Small Claims Court and lost. We have been without a TV since January and watch catchup showings of the shows we like on broadband on my laptop. The money is gone and we have nothing to show for it. Not very fair, is it? I wonder if there is ever going to be any protection for small businesses from the consumer? Threats and blackmail are often used to gain refunds for items which have been clearly damaged by the consumer. I thought we were meant to be a country encouraging innovation and small businesses, but in reality the consumer will get the support every time. I guess there will be more space for more Starbucks on the high street though. It's also worth mentioning that following my appalling experience with a large electricals retailer and subsequent phone calls to a support department despite the fact the product was a day old and should have been immediately exchanged, I took the product back, and that wasn't without some moaning and groaning from the staff. I then wrote to their head office and, despite the fact I had received a full refund, managed to negotiate the reimbursement of 30 - 40 minutes of premium rate phone calls on my mobile (my only means of communication) as long as I could provide the bill. "Can I insist that consumers who cancel an order within the cancellation period return the goods as new or in their original packaging? No. Consumers are under a duty to take reasonable care of the goods while in their possession as discussed in paragraph 3.44. The DSRs allow consumers to examine goods they have ordered as they would in a shop. If that requires opening the packaging and trying out the goods then they have not breached their duty to take reasonable care of the goods. In these circumstances you cannot insist that consumers return the goods as new or in their original packaging. You may ask consumers to return goods with the original packaging, but you cannot insist on this. In the case of goods such as earrings that have hygiene seals, you may require consumers to exercise reasonable care by not removing the seals when examining them." Why do all of these articles portray all retailers as somehow trying to trick their customers? Most of us will try hard to resolve issues in a fair and reasonable manner and will go over and above the letter of the law to resolve issues. It is worth pointing out though that, in many cases, it is difficult for the consumer to prove that a fault has been inherent from the date of purchase. I'm currently in dispute with a well-known high street retailer selling over the internet via an equally well-known online seller. An mp3 player which they described as "brand new" is clearly a secondhand customer return with scratches all over the back of it and a faulty lead. Getting a refund is like getting blood out of a stone. Probably I will just have to write off the money to experience. Don't forget to tell the readers that as long as they win in Small Claims, they can also recover the court filing fees. I bought a frost free freezer and after 17 months it developed a fault. I rang Consumer Direct who took me through the steps to take with the supplier. I actually had to quote the Sales of Goods Act to them (as they were fobbing me off as I did not have extended warranty and the 12 months standard guarantee had expired). I was told I needed an independent report stating the fault which turned out to be a manufacturing fault and I eventually obtained a new freezer to the value of the old plus reimbursement of the cost of the report. I would not have had the success without contacting Consumer Direct first and knowing exactly what steps to take and standing my ground. One thing to note is that you are not covered by the Consumer Credit Act as you might think when using it through third-parties such as Paypal; Paypal is not a financial institution. If goods aren't received or there's some kind of issue, you aren't covered by the act and have to raise the issue with Paypal using their dispute process. I bought a £20 printer cartridge once. It turned out not to fit my machine so the next day I returned it. I was told that because I had removed it from its silver package, that I couldn't return it in exchange for the correct cartridge. I left the unused cartridge on the counter and left. I have never returned to that shop again, preferring to travel the extra distance rather than offer them my custom. How many hundreds of pounds are they likely to have lost in sales from me for just one small incident. I fume today not because of the £20 but for the arrogance of the assistant who I'm sure was in breach of the act. The shop has since closed down. Unlikely to be of my doing but good riddance to it! I can't stand being ripped off. It does my head in. For instance, my family has a washing machine less than two years old that suddenly had an electronic fault error code displayed on it's screen. we contacted the company from where it was bought and stated that since it was less than two years old we were seeking a repair under the terms of SOGA. Every advisor we spoke to stated that since it was over a year old and we had no warranty we would have to pay in excess of £100 to have it fixed nor were we able to seek compensation for the period we were unable to use it. It became evident after contacting their head office, who denied a washing machine should last more than a year, that they were waiting to see just how far we were willing to go i.e. would we take it to a small claims court. This experience is also reported by others for this company on various internet forums. Eventually after a month of hassle and having to use family and friends washing machines we agreed to pay a 1/3 of the cost just to get it fixed as further delay was affecting our lives and a replacement machine in the meantime we were told was unavailable. Distance selling regulations are often kept quiet by on-line retailers. I once bought an expensive computer monitor on-line. It had a bright green dot in the middle of the screen - most annoying. First, the vendor said they would not accept returns for defective pixels. Then they tried to charge me a 15% "restocking fee". Both these conditions turned out to be a violation of the distance selling regulations. 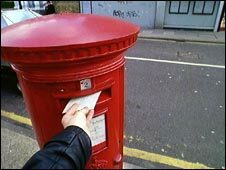 After consulting Trading Standards, who helped me with the cover letter, I got a refund less postage, which I wrote off to experience. Also on the little person's side in the UK are advice agencies such as the Citizens Advice Bureaux and law centres. What's the opinion on a laptop battery? Even extended warranties don't cover them. I've got a laptop with three years at home coverage and a battery that's only covered for 12 months. I recently bought a new PC on the internet. While waiting for it to arrive I was showing a friend the specification on their site. Imagine my surprise when the unit price had dropped by £180. After checking the web I found I was entitled to return the goods for whatever reason within 7 days. I rang them up and said I was going to return the goods and reorder it at the new price. Return carriage would have cost me about £20, with the same again on the new unit. I offered them the chance to save the hassle and reimburse me out right. One quick chat to his line manager and the funds were credited to my account! I would like to point out that all the above are at least wholly or partially due to EU law, not just the Air Passenger Regulation (Disclosure: I work for the European Commission). There is a proposal for a new consumer rights directive currently working its way through the Brussels machine which will improve consumer rights even more. The EU is also responsible for improving cross border enforcement and improving awareness among consumers of their rights. Finally there is now an EU cross border small claims procedure for to help resolve problems abroad. The distance selling regulations only apply to individuals. Purchases for business are not covered, even if you're a sole trader. If it's bought in the business's name, then the regulation doesn't apply. I got burned by this a while ago and it cost me quite a bit of money and inconvenience when a computer I bought for my business wasn't the right one and the retailer refused to take it back. I was flying back from Toronto to London on a national airline, when a mechanical fault caused a four hour delay. We landed in London at 1am, after all public transportation had closed, resulting in a £76 taxi ride to my house. The airline refused to refund me for my taxi, despite their plane being the cause of our delay. Transport Canada was similarly unhelpful after I wrote to them as well, claiming the "extraordinary circumstances" scenario. The thing is, a few months earlier, they had rerouted me and put me in a hotel after a similar mechanical fault, after a 24 hour delay, so it seemed strange that they didn't even give me a phone call for a "mere" four hour delay. Fingers crossed that the new rules help us all.